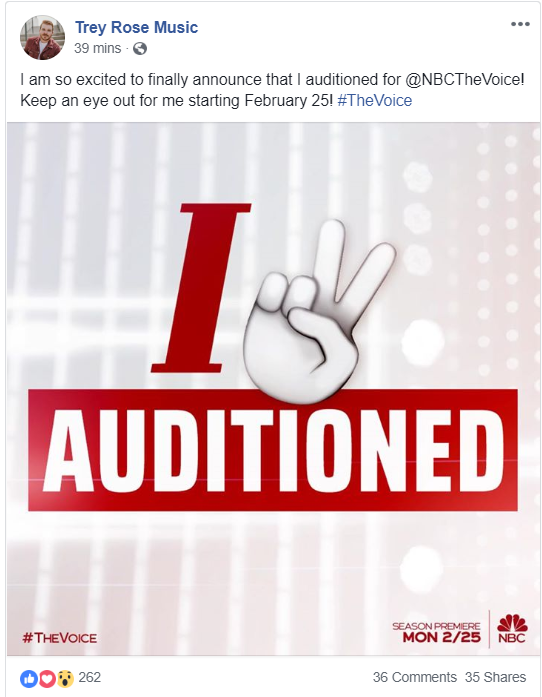 Local musician to appear on NBC’s The Voice starting Feb 25. 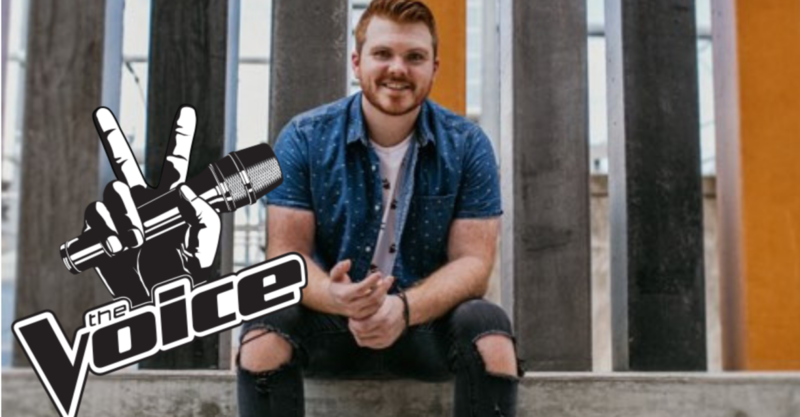 Local musician, Trey Rose announced Thursday afternoon he will be appearing on NBC’s The Voice starting February. “I am so excited to finally announce that I auditioned for @NBCTheVoice! Keep an eye out for me starting February 25! #TheVoice,” he said on Facebook. The Hugo, Oklahoma born singer is a local favorite in Paris, Texas, playing regularly at Buffalo Joe’s and other venues to a packed crowd. No more details have been released at this stage. I love The Voice. So excited that you did it.